THANK YOU FOR ALL YOUR SUPPORT! 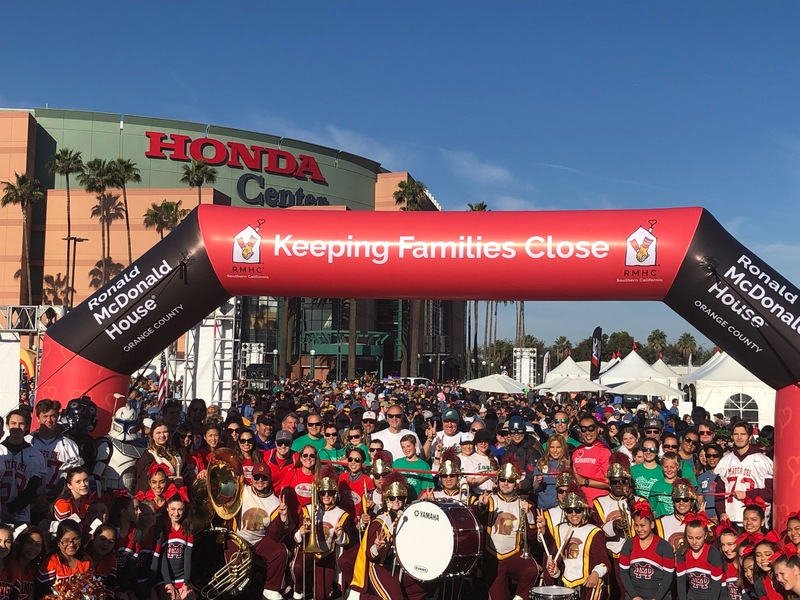 Together, we have raised over $300,000 for the Orange County Ronald McDonald House. 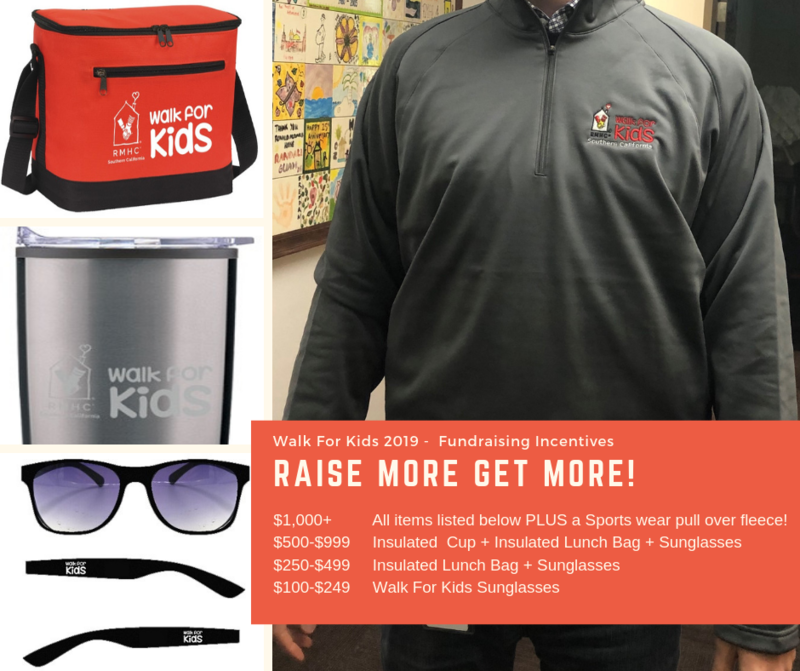 DONATIONS STILL ACCEPTED TILL June 2019! 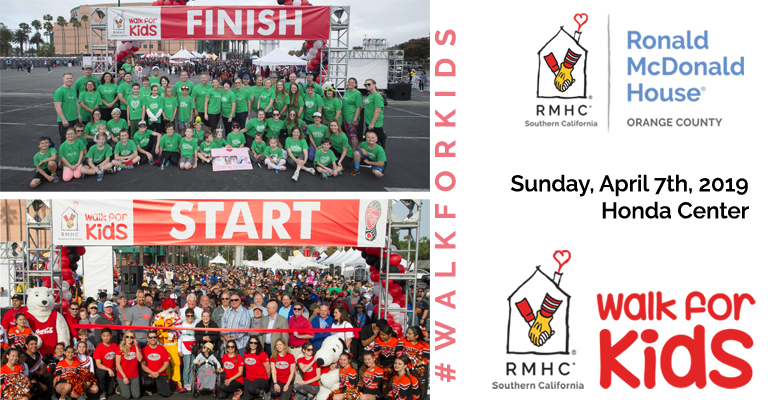 The Walk for Kids™ is a fun, family-friendly 5K walk event designed to help raise funds for the services and programs provided by Orange County Ronald McDonald House and the Ronald McDonald House Charities of Southern California. 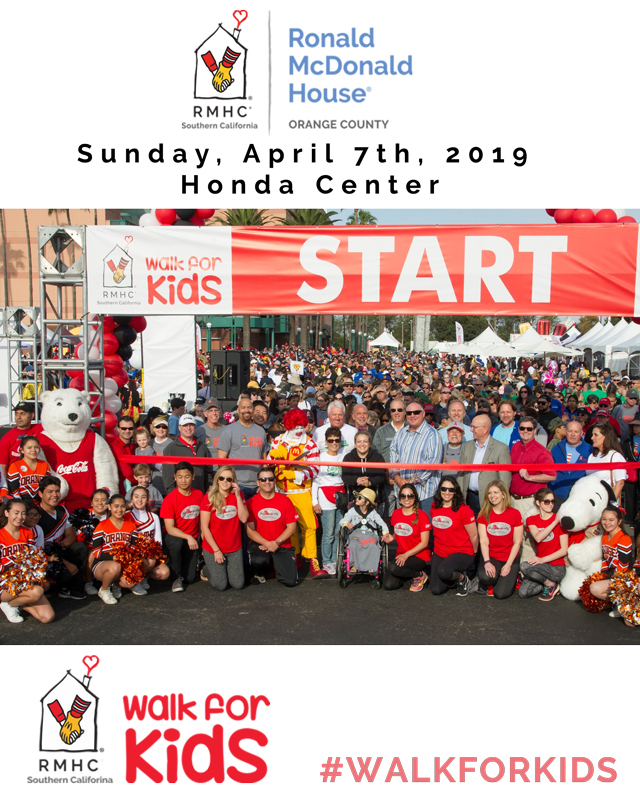 The Orange County Ronald McDonald House goal is part of the Ronald McDonald House Charities of Southern California target to raise $2,250,000.00 so we can help families to stay near their seriously ill children at any Southern California Hospital over the coming year.